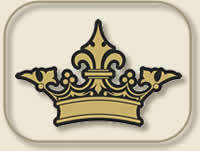 Personalised, individual care and attention for your dogs. Whilst your dogs are living at Clyde Valley Pet Retreat, they will be cared for by Angela, her husband Jim and Angela's mum Helen. Also as we only have four suites you can be assured that unlike traditional multi unit kennels, your dogs will receive unprecedented levels of care & attention during their stay. 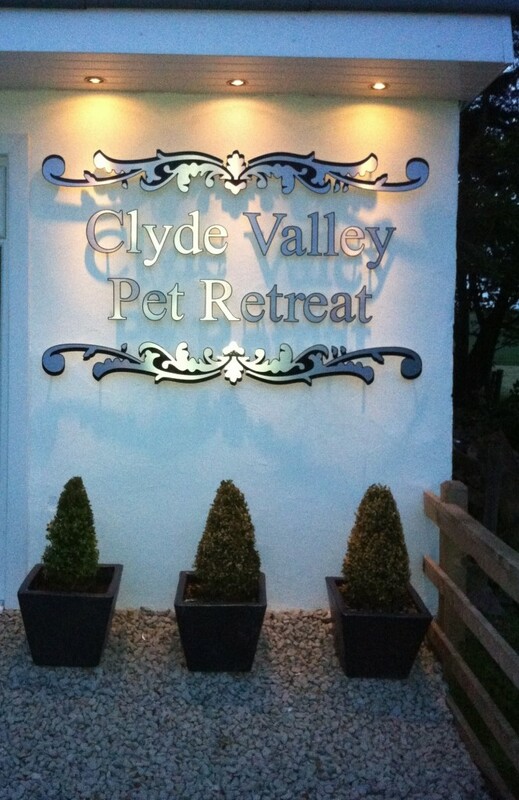 Clyde Valley Pet Retreat is a family run luxury dog boarding business owned by my husband Jim and I. Along with Jim and my mum Helen and dad Pat also looks after your dogs. We live with our two daughters Eilidh and Kirsty, our Lhasa Apso Mitzy, Labrador Cross Lucy and cat Sheba. We are located at the top of the south side of the Clyde Valley above the village of Kirkfieldbank, near the historic town of Lanark so we are in a very quiet and secluded location three quarters of a mile from the nearest road where we and your dogs can enjoy the peace and quiet of the beautiful Lanarkshire countryside. My vision of opening a truly luxury dog hotel has been a long held dream. Ever since I was a teenager, the idea of looking after dogs as a career really appealed to me but I never thought it would ever happen. However one traumatic event six years ago changed all that and made me realise that I had to do something to make my dream a reality and to help prevent other dog owners going through similar situations. 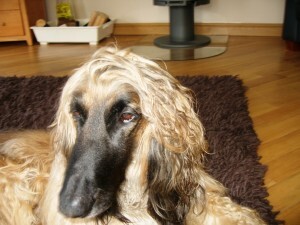 We were due to go on holiday so we booked our late and beloved Afghan hound Basil in for two weeks at a boarding kennels in Glasgow. We chose this establishment as it had been recommended to us. On our return from our holiday we were horrified to find that he had lost over 3kg in weight and smelled awful and looked dreadful. Over the next couple of days he gradually became very ill and we ended up at the emergency vet one night being told that we were lucky not to have lost him. We later found out from someone who used to work at this kennel that they were so busy that our dog had spent his whole fortnight there in an external run with no inside sleeping area. That night we vowed never to place him in kennels again and we set out on a four year hunt for the right property in the right location to create something truly special and unique. As a result of this search we found the right property and on the 20th May 2011, Clyde Valley Pet Retreat opened its doors for the first time. My passion for giving dogs the same standard of care, love an attention they get at home is absolute and I look forward to building our reputation as the leading luxury dog boarding establishment in Scotland.